After an evening show at Geva, I began to wander back through the city. 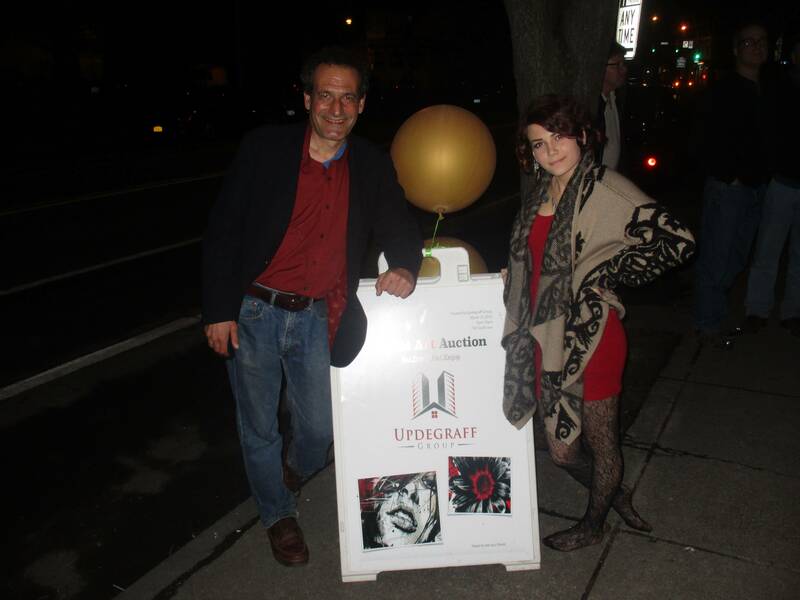 Surprised to see the lights on at the Updegraff Gallery-office on 732 South Avenue, inside I met Jordan Ebersberger. Jordan explained that her company, Updegraff Group, had sponsored the inaugural event just winding down: a Silent Art Auction to benefit St. Joe’s House of Hospitality down the road also on South Avenue. (Liberty Pole) Biagio Dell’Aiera, a close friend of Updegraff’s donated this resilient photograph of the Liberty Pole lit up. The speed of light that zooms across the photo makes this even more incredible! I could not make the First Friday Silent auction but shortly after Jordan kindly provided a photo montage and narrative. And, Jordan plans further inspired contributions to the magazine. Rochester get ready for Jordan Of the Town! 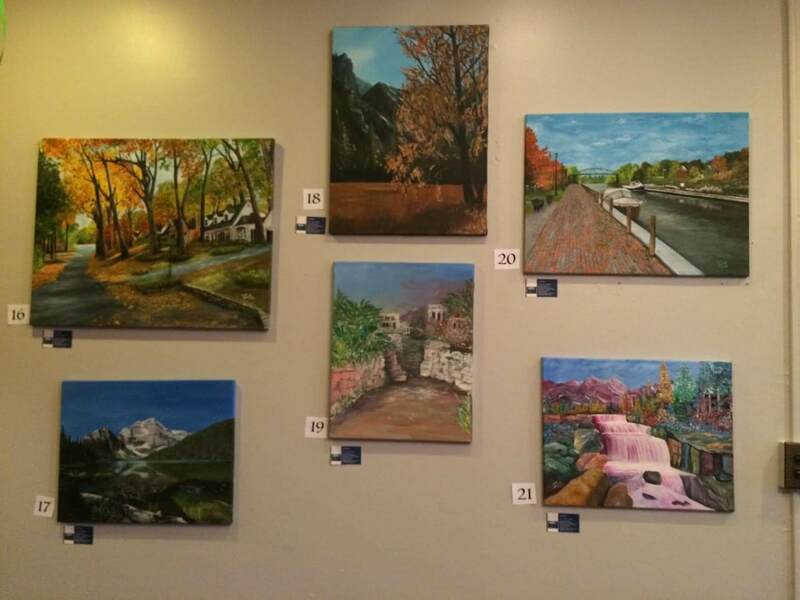 (6 painted landscapes) All of these were done by Tom Bailey, he captured the images beautifully, his work is so detailed. The doors were finally open, music flowing, the sweet summer air approaching. This was my first event, my first big responsibility. I was given the opportunity by my company, Updegraff Group to plan, host, and partake in a Silent Art Auction the end of March last month. It was a stupendous honor to be gifted with such a big event. Even more exciting and nerve wrecking was being able to showcase my own artwork for the first time. Dan Regna, a visionary photographer stretches all his beautiful landscape photos on aluminum to give that sheer gloss effect. (lava lamps) Jordan Ebersberger, myself donated these pieces with a dream that they would catch someone’s eye and be displayed properly in a home or business. 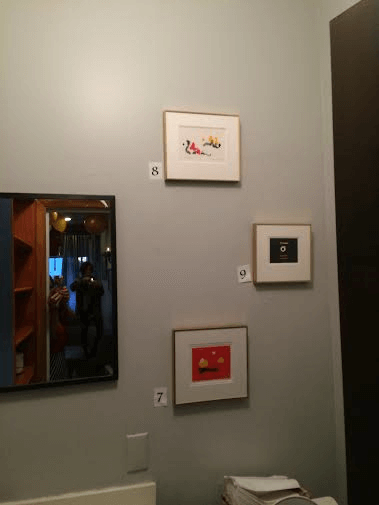 My “talent” didn’t go further than having it hung on the fridge when I was young, and now I was going to sell my pieces to someone who admired them! I grew up drawing butterflies and flowers but as I got older I began to delve more into unique euphoric designs. 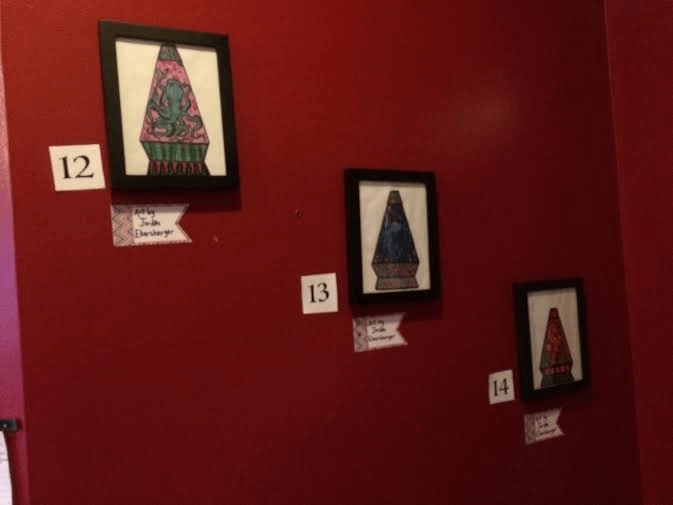 The pieces I showcased were detailed sharpie art of aquatic animals in lava lamps. My boyfriend gave me the idea after staying up trying to envision the perfect lava lamp to draw for a larger piece he was working on. 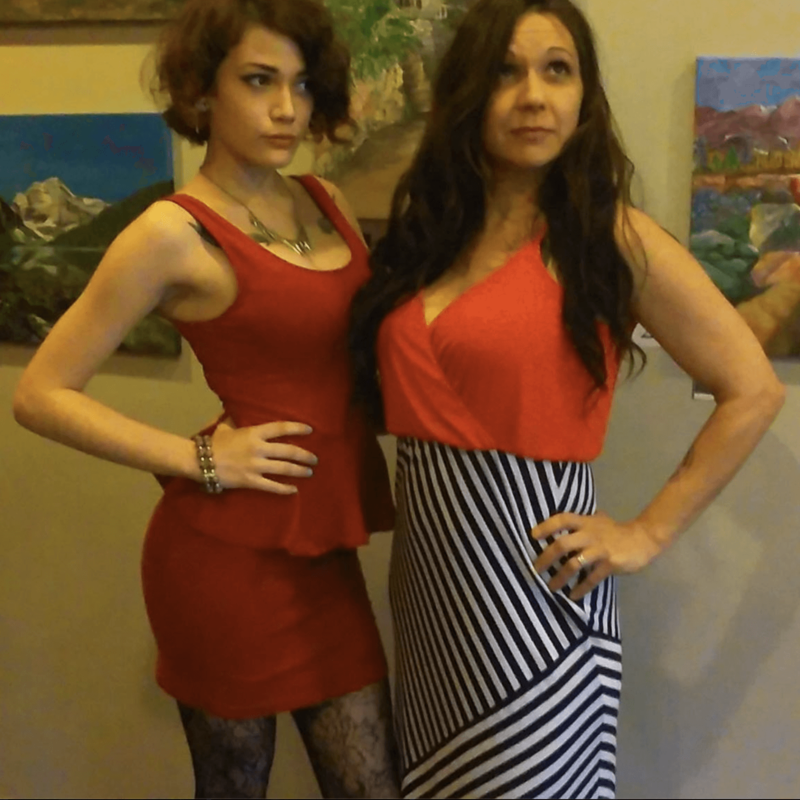 I met with artists ranging in all spectrums of the art pyramid! During the last moments of the auction a man walked through the door and viewed the pieces, he seemed very enthusiastic. 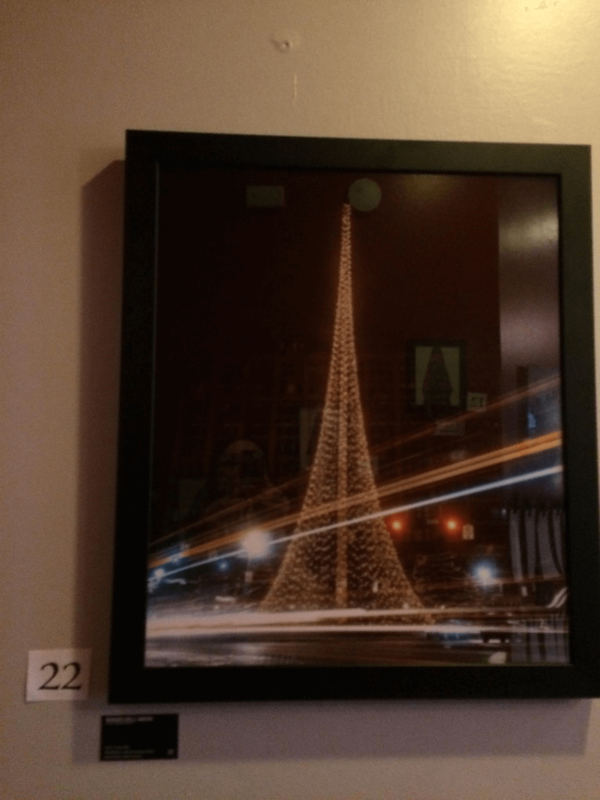 He bought my piece as well as an original by Timothy Mack. He sighed before he left saying he wished he could buy them all. Doug Steward, sadly this Rochesterian is no longer local, however, he did donate one last time before moving. 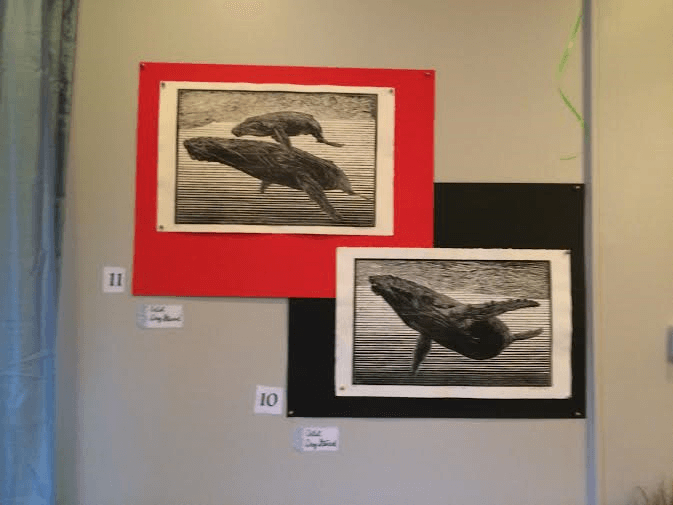 These 2 woodblock printed Humpback Whale scenes are magnificent! Shamira Nicolas, an older lady donated 3 pieces from back in the 90’s she painted when she first emerged as an artist. These are just simply elegant. We had gorgeous landscapes down by Tom Bailey that truly captured the essence of a place. Rachel Dow a local Rochesterian stopped by the auction to see her work displayed, she donated 2 wonderful metallic mixed media paintings. Sara Keane and husband Clay Patrick McBride participated with a serious photograph of Jay-Z and Kanye West (original) and the other piece, Sensual Rose Pink Lips. There were many other lovely works done by locals. I was amazed at how many donated and the amount of pieces I was able to display. 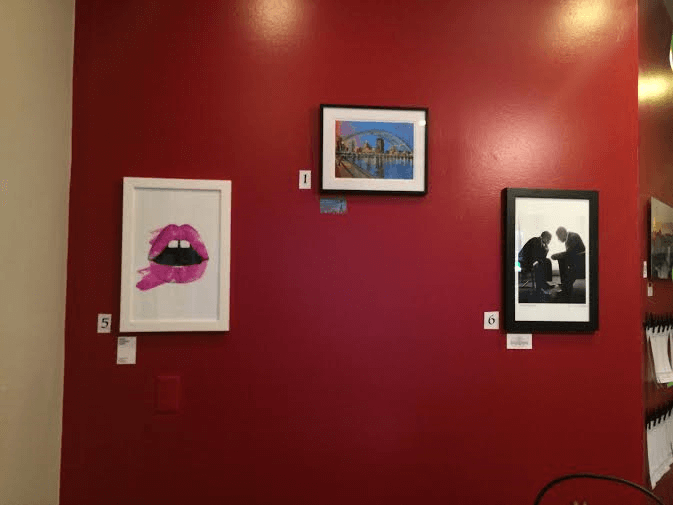 (left to right) Sara Keane donated luscious lips that show off her spunky personality, in the middle is Bix DeBaise’s pastel of the Ford Bridge that makes the view look spectacular, Clay Patrick McBride, a very well known photographer for celebrities and other known people was kind enough to donate an original photo taken of Jay-Z and Kanye West. Out of the 22 pieces we had we sold 15. All the proceeds were donated to Saint Joe’s House of Hospitality to feed and support Rochester’s struggling families. Being able to do something I truly have passion for, and giving back to the community is so fulfilling. 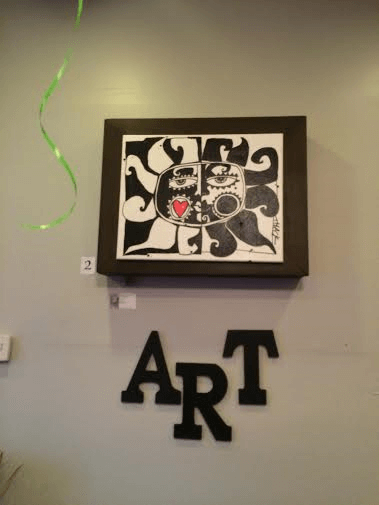 This was our first annual silent art auction, we expect next year to be bigger, bolder, and better! Updegraff Group is excited to take part in giving back to the community and reaching out to the locals. We hope to see many of you at our upcoming events! On the Road. Destination Little Bohemia in the South Wedge.